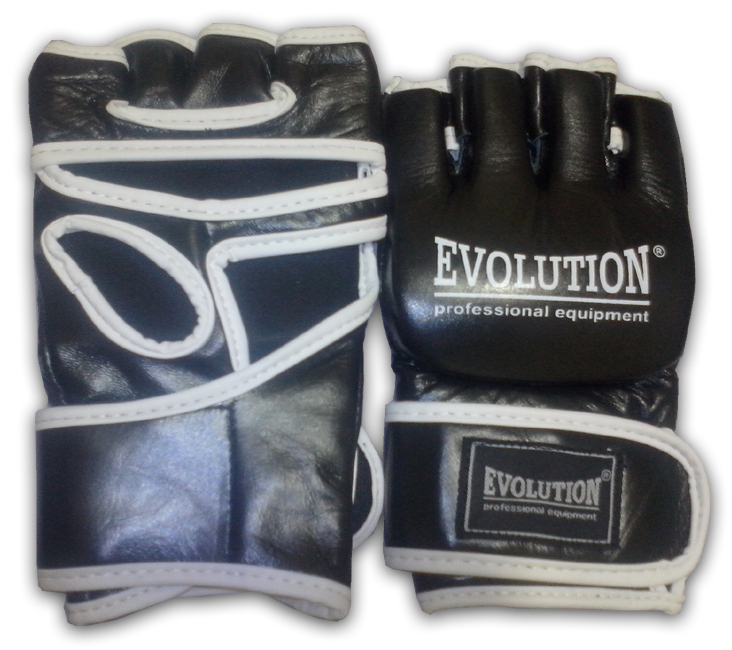 Gloves MMA first-rate brand Evolution. Made of high quality leather natural, dense filling perfectly absorb the taken. High cuff with double Velcro fastener for easy fit and proper placement of the hand. Discovered the fingers, thumb and the inside of the hand open to a strong and secure grip during the fight.